As many as 17 members of Houthi militias were killed and 20 others were wounded following bombing targets launched by the Arab alliance jets over north Mukha and West Taiz. A military source said that 10 raids targeted locations in Camp Khaled and the east of Mozea, while the battleships of the alliance launched 20 rockets aiming at these locations. 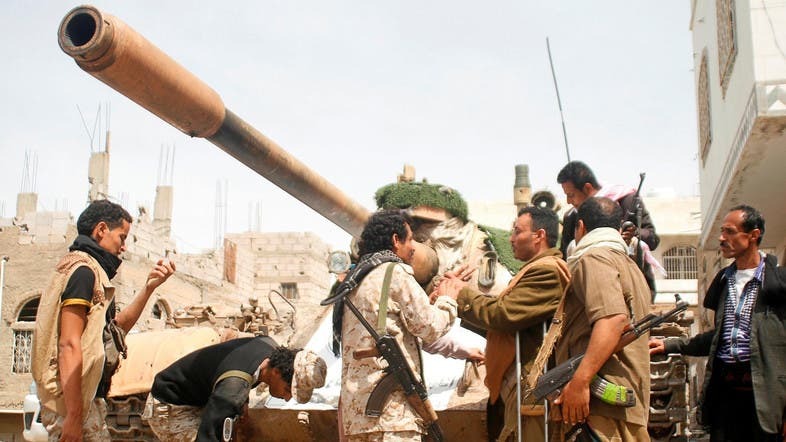 On the other hand, there were a number of confrontations in the vicinity of Camp Khaled as the Houthi militias pushed reinforcements setting up platforms to launch Katyusha rockets west of Muqtada and targeting positions of the legitimate forces near Camp Khalid and East of Mukha. The New York-based Human Rights Watch says in a new report released on Thursday, that the Houthi militia are allied with the forces of the country's former president and have been using land-mines in at least six provinces since March 2015, when a Saudi-led coalition launched its military campaign against them.